For nearly two years now Trinity Church has been in discussion with a newly formed Community Interest Company, The Last Cuppa, to run a community cafe in the Concourse area at Trinity Church. These discussions have now come to fruition and the community cafe will now begin to operate, serving drinks and snacks to those using our premises. The cafe initially will be run predominantly by volunteers. The purpose of the cafe is to help people experiencing long-term unemployment because of complex health and social issues to reintegrate into the community. Support and training will be offered through the running of the cafe to improve life skills and to provide work experience. The cafe will ensure that those groups who still wish to provide their own refreshments will still be able to do so. 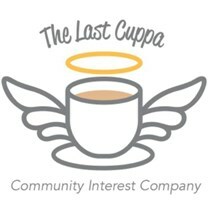 The Last Cuppa has set up a crowd-funding appeal to provide for some of the start-up costs. If you would like to support this appeal, please visit their page on the Just Giving website by clicking here.